Both men and women who want to look very professional at work invest a whole lot of money in custom-made shirts. Most people are asking themselves the following question: How could I find the most talented designer and the most appealing tailored shirt designed to look amazing for the longest period of time, without burning deep holes in my pocket? Most importantly, a shirt should accentuate your best features and fit you perfectly. Choose to collaborate with a tailor who will always offer you free alterations or the possibility to exchange your suit within the first 2 months after your purchase. Moreover, ask your tailor to send you some of his/her best fabric samples to help you make the most inspired decision. If you want to take pride in a fashionable, highly resistant, custom-made tailored shirt, it is advisable to talk to a real pro in this line of work. Call the best tailors and compare their services with help from TalkLocal, a free service allowing you to meet competent specialists who live and work in your area. For some men it may be hard to buy ready-made shirts that really fit. If you’re often unhappy with the shirts you’ve bought from a shop because they’re too large or have shrunk after washing, and you can no longer wear them, you might want to try something different. Custom men shirts are the best option for a number of reasons. Here are some tips on what to look for in a custom made shirt. When you get a custom made shirt, it is important to choose the right fabric. Quality fabrics preserve their appearance for a long time, even after years of wearing and washing. Moreover, good fabrics make smart shirts, which give a man a characteristic distinction. Compare several textures before you decide for a particular fabric, and choose the one that will make you feel comfortable. Some fabrics tend to shed when washed. Make sure you choose quality fabrics that will preserve their texture and softness for a long time. You can recognize quality custom men shirts not only by fabric, but also by design and craftsmanship. Look at every part of the shirt and see how it’s made and if it fits you well. The collar shouldn’t be too tight, because after repeated washings, it shrinks a little and might become uncomfortable. Also, see to it that your custom shirt is neither too tight, nor too loose. Check cuff length and buttons, as well. Don’t forget about the seam because it plays an important role in the overall appearance of a shirt. When you have a custom shirt made, consider the colors available. There are many options, so be sure to choose those colors that go well with your skin tone and match the clothes in your wardrobe. 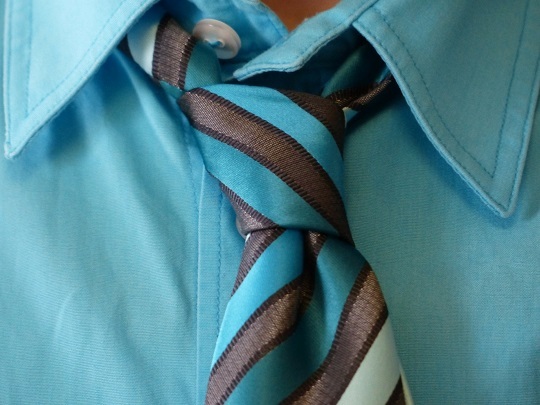 The color of a shirt can enhance your appearance, making you look your best. Keep these simple tips in mind when you go to a tailor to have a custom made shirt, and you’ll get the perfect shirt that will give you a top notch appearance. Can’t find a tailor who meets your standards? TalkLocal can help. We’ll put you in touch with local professionals who make exceptional custom made clothes. People who are always concerned about their appearance seldom settle for common clothes with a dull design. They want to be at the center of everyone’s attention; this is why they seem eager to pay the right price for exclusive, high-quality, custom dress shirts online. How could you possibly find the best tailor who can help you dress for success? Here’s how. Remember that luxurious materials like virgin wool, silk and pure cotton will always stay in fashion, no matter what. Moreover, if you’d like to feel the fabric before actually paying for it, go in favor of a tailor who offers you the chance to receive a fabric swatches set. This way, you’ll know for sure whether the material that you see in the online catalog matches your taste or not. 2) Choose the shirt style options. 3) Personalize the shirt by choosing the position and style of your monogram, label and embroidery. Check out your tailor’s product portfolio. Do you like his/her style? Are his/her creations entirely to your liking? If you don’t really follow trends and don’t know how to perfect your fashion sense, discuss your options with a respectable provider of custom dress shirts online. Find the best one with just a few simple clicks by consulting TalkLocal, a free service designed to help you meet gifted specialists who work around the clock to keep you satisfied. 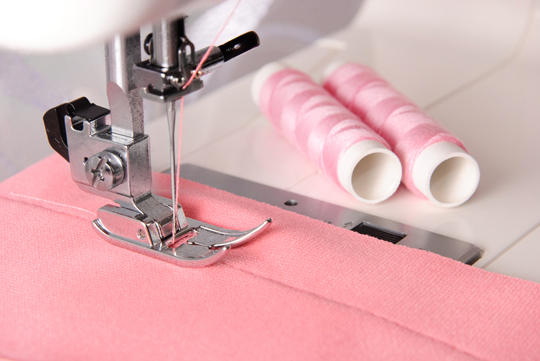 Undoubtedly, tailor alterations ensured by a reputable specialist can save you time and money. However, how could you possibly spot the most gifted specialists who operate in this line of work? What is the key to success when it comes to relatively complex tailor alterations and how could you minimize failure risks and obtain excellent results? Keep reading to find out. If your dress, shirt, pants, vest, skirt, and various other clothing items don’t fit you perfectly for one reason or another, this means that you should try to schedule an appointment with a local tailor, specialized in alterations. A pro can make anything look good on you and he/she could help you “recycle” and “reinvent” older clothing pieces that have started to gather dust in your closet. Moreover, alterations enable you to make smart, fashion-forward decisions without overbalancing your monthly budget. A tailor, who can ensure a perfect fit for you in any given set of circumstances, will tell you which pieces are worth altering and which alterations would involve too much labor, time, and money. For instance, a specialist can gently mask that tiny tear in your jacket, help you take in a dress and hem your favorite pair of pants. The same expert can help you decide if you should actually invest in that designer coat that’s loose around the waist and if you should donate those inherited suits that are one size too small. Furthermore, a kindhearted pro will also provide great advice on how to keep your clothes looking and smelling like new for a long period. What would happen if the zipper of your wedding dress would break three hours before your wedding ceremony? This worst-case scenario makes all brides tremble in terror. Fortunately, a tailor providing emergency alteration services could save the day and let you enjoy those special moments to the fullest. Most people are unable to alter their cloths on their own. If you are one of them, don’t hesitate to consult a respectable local tailor, especially if your favorite clothing items require fast or complex modifications. Find the best tailors in your area with TalkLocal, your dependable expert that will you in contact with professionals who provide time and cost-efficient services. How Much Do Tailors Charge? Ready-to-wear clothing rarely fits exactly, and this is where tailoring services come in. You can have your clothes altered to fit you perfectly or even order a custom garment. One of the first questions any customer would ask hiring a tailoring service is: how much do tailors charge? The cost of tailoring services will vary depending on the type of clothing, what alterations need to be done, and other factors. The general practice when estimating the cost of having a piece of clothing altered is to start with the original price of the garment and take around 5-20 percent of this price as the tailoring fee. For example, if the suit you bought is worth $200, then you can expect to pay anywhere from $10 to $40 to have it altered by a professional tailor. The average cost of tailoring ranges from $5 up to $80, but this will be different from one geographical area to another. The type of clothing also affects tailoring costs. How much do tailors charge for a shirt? How about for a suit? For sure, you can expect to pay less to have a shirt tailored than a suit. The average cost to alter a casual shirt is around $5-$20. To alter a suit, it can cost about $16 just to shorten the sleeves. Dresses that need to be altered can cost around $20-$60, depending on the fabric and the specific alteration needed. You can pay around $15 for basic shortening. To shorten pants, it can cost as little as $10-$50. Do tailors charge a fixed rate? Some tailor shops do charge a fixed fee regardless of what clothing will be altered. For example, a store may charge $20 for any two items to be altered. Some tailors offer in-home services where they come to the customer’s location, whether at home or in their workplace or any other site, to provide tailoring services. Of course, this personalized service would cost more. Pick-up and delivery of items are also typically available for an additional fee as well as rush tailoring, although many alterations can be done fairly quickly, usually within 2 to 3 days. If you’re looking for a reputable tailor, TalkLocal can help with your search. Let us now your service request by phone or online and we’ll be glad locate the best tailors in your area. Be connected directly to quality local tailors within minutes. If you’re particular about your clothes, particularly how your trousers fit, then you already know that nothing beats tailor made trousers. Particularly because they are made to your exact measurements, you can expect nothing but a perfect fit. Of course, a lot also depends on how skilled your tailor is, so you want to make sure you go to a reputable one with many satisfied customers. – Men with long torsos but shorter legs: Forget about wearing low waist pants. You should ask your tailor to make the waist higher by an extra inch while measuring. –Men with longer legs than their torso: You will look fantastic in low waist pants and tucked-in shirt. Putting on a nice jacket will visually cut the length of your legs. – Men with flat butts: Straight-cut trousers look great on you and do not give much attention to your behind. – Men with big butts: Low waist trousers with a pleated front are ideal for you. – Men with a paunch: Stay away from low waist trousers with a flat front. Slim down your look by wearing dark shirts in solid colors. – The waist of the trousers should be half an inch wider than the waistline. – Make sure the pockets remain flat and closed when you’re standing and that its shape matches your pants. – Check that there is no snag in the crotch area. If it is hanging too low, you’ll look shorter, but it will look just plain ridiculous if it’s too high. When fitting, move about to ensure proper fit. – The side seams should be smooth and run straight from the waistline down to the hem. – The pants’ hem should be the correct length, covering half of the heel while touching the instep in front. Looking for a Skilled Tailor? Seva Call can help you find an expert tailor who can make your trousers to your specifications. Use our free service and let us connect you with up to three tailors in your area so the only thing you have to think about is choosing the best tailor of three who can meet your needs. Try us now! Silk bedding is popular for innumerable reasons. However, the growing competition in the organic bedding market has propelled a lot of fads to shape up with regard to silk bed sheets and other types of organic comforters. The way silk is shown in advertisements, it appears and is assumed that silk is slippery. Now, while silk has less friction, it is not right to say that it slips easily. The sheets are soft and smooth. After all, there is a reason why you call them ‘silky’ not ‘slippery’. Another fad about silk bedding sets and bed sheets is that they must only be dry-cleaned. Good quality sheets made of silk can be washed in washing machines without any trouble. The important thing that you must pay heed to is that the detergent that you use should be silk-friendly. While they might lose some luster because of washing, they will become softer. Perhaps one of the biggest myths about silk bed sheets is that they are all the same, and there is no difference in their quality. What’s worth thinking about here is that if all the silk sheets are the same, then there should be no competition in the market, pushing innovation. The fact is that there is a large variety of silk sheets and silk bedding sets available on the market. The differentiating point between different varieties comprises thread count, weight, and strength of the fabric. Many people have the notion that silk comforters and silk sheets are priced extremely high. Many of these people are those who have never actually purchased a silk sheet for themselves. Silk and other organic bedding is priced very reasonably, given the amount of vantages that they have on your life style. Many people think that silk is chemically processed and is not 100% organic. As long as you purchase silk sheets from a retailer who sells them under ‘100% organic’ tag then there is nothing to worry about. The only way a silk sheet will not be purely organic is when it is bleached. Silk sheets are not a recent invention, although of late there have been a lot of innovations introduced. 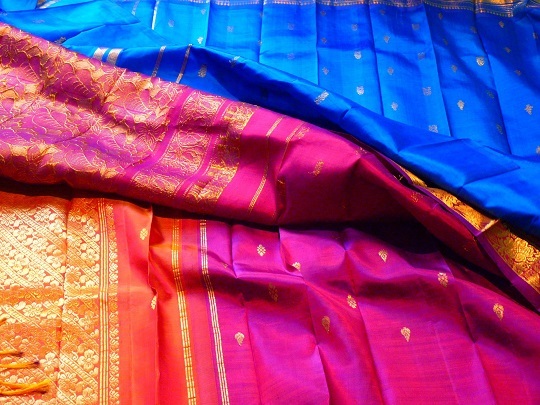 Silk has been cultivated for the last 5,000 years, and has been used to manufacture a number of items. However, in earlier times, silk was expensive. Need to Clean or Repair Silk? Above are listed only a few out of the many myths that spin around silk and silk bedding. Reading in detail about organic silk pillows and sheets will give you a better idea of the facts. Thereafter, you will have no trouble in figuring out the benefits of silk sheets and bedding. Have your silk properly cleaned and maintained by a reputable tailor. Seva Call will connect you with up to three in a matter of minutes. Try Seva Call today! On average, dry cleaning prices cost $10 to $11 for suits, while dresses can cost anywhere from $10 up to $22 for evening or cocktail dresses. Wedding gowns are the most expensive items to be dry-cleaned, typically costing about $135. The average dry cleaning prices for common items such as shirts, blouses, blazers, sweaters, skirts and shorts range from $4 to $8, while coats can cost around $11 for short coats and up to $16 for long coats. Accessories like ties, scarves, and hats generally cost a little over $4, the same price for vests or waistcoats. Why is dry cleaning more expensive than regular laundry services? If you’re not aware of how dry cleaning works, you’ll probably wonder why dry cleaning prices are higher than standard laundry prices. In the latter, clothes are cleaned and stains are removed by using a standard detergent, water, and a regular washing machine. 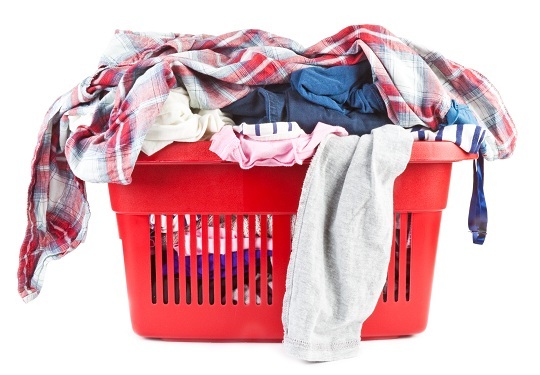 The cost to do regular laundry jobs is comparatively less than with the dry cleaning process, which uses a special machine and chemicals instead of water to clean clothes. Only certain kinds of fabrics should be dry cleaned anyway, so you only have to spend on this premium service whenever necessary. Is it worth paying more for dry cleaning? Some fabrics like chiffon, silk, satin, or taffeta can only be safely cleaned by dry cleaning. Otherwise, the fabric will be ruined when washed in a regular washing machine or soaked in water. For this reason, if you have such a fabric, it is definitely worth paying premium dry cleaning prices to protect your clothes. Seva Call can put you in touch with the most reputable service professionals in your area, whether you need an expert dry cleaner or tailor. Let us know what service you need and we’ll take care of locating the right professionals to help you. Contact Seva Call now! Based in San Antonio, Texas, Five Star Cleaners is the city’s top dry cleaning company, with 18 branches throughout the city. This award-winning company offers a wide range of services to meet all dry cleaning and laundering needs of customers. Five Star Cleaners specializes in cleaning special occasion garments, from couture dresses and dresses to very delicate wedding gowns. As you may know, wedding gowns must be handled with utmost care. This company is highly experienced and trained in handling the most delicate and intricate of wedding gowns, being the only South Texan company to belong to the Association of Wedding Gown Specialists. Five Star Cleaners can also help preserve any special clothing. As with special occasion clothes, formal suits also need specialized cleaning. Bring your tuxedos, shirts, ties, and any formal attire to Five Star Cleaners for expert cleaning. Leather and suede fabrics require special cleaning methods, which this company also specializes in. In addition to clothing, Five Star Cleaners can also clean and freshen up home items such comforters, blankets, pillows, duvets, linens, and drapes. Five Star Cleaners has expert tailoring services to help give your clothes a perfect fit. Their experienced tailors can handle hemming, zipper replacements, size alterations to take in or let out the clothing, and other small garment repairs. This is for customers who need quick dry cleaning or laundering services to be done within the same day. This service is available only during weekdays. Just drop off your garments before noon and you can pick them up by 6 pm on the same day. If you need even faster service than same-day, Five Star Cleaners offers this service, which promises to get your items clean and ready within one hour. This is also available only from Monday to Friday. Again, you just have to make sure that you drop off your clothes before 12 noon, and you can return for them in just one hour. Clothes can be dropped off any time in most of their locations. Not sure who to call when you need professional clothing alterations? Get in touch with Seva Call first. We can connect you quickly to the most reliable tailors in your area. Contact us now! There are tailors who specialize in certain services such as alterations. 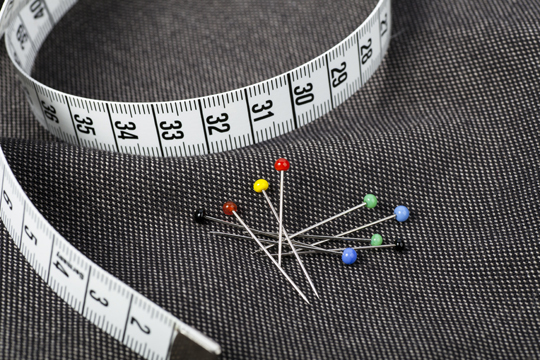 A tailor who specializes in alterations makes sure that a client’s clothes fit properly. What does tailor do to ensure a proper fit? A few or several changes to the garment may be done by a tailor to alter a piece of garment. A tailor can hem a pair of pants to shorten the legs or take in the seams to make a garment smaller. A tailor can also specialize in making only certain types of garment, for example, bridal wear. Others may specialize in working with a specific material, like fur. A fur tailor may update the style of any older fur garment, add a fur detail to a dress or coat, or hand-sew garment linings to the inside of a fur skin. There are also tailors who specialize in making custom clothes. What does this tailor do? A tailor whose specialty is custom-made garments may work with a customer or a designer in creating a new garment. When tailors take an order from a customer, they will also assist in choosing the fabric, color, and style. If they collaborate with a designer, they will take the designs and turn them into final pieces of clothing. For instance, couture dressmakers work with fashion designers to make exclusive custom clothes. You can take tailoring classes where you’ll learn sewing and making clothes alterations. Some tailors start as apprentices, being hired and trained by an experienced tailor. However, most of these arrangements are informal since formal tailoring apprenticeships are not common. The most common way to become a tailor is by working in a tailor shop where you’ll get hands-on training. Looking for a Great Tailor? 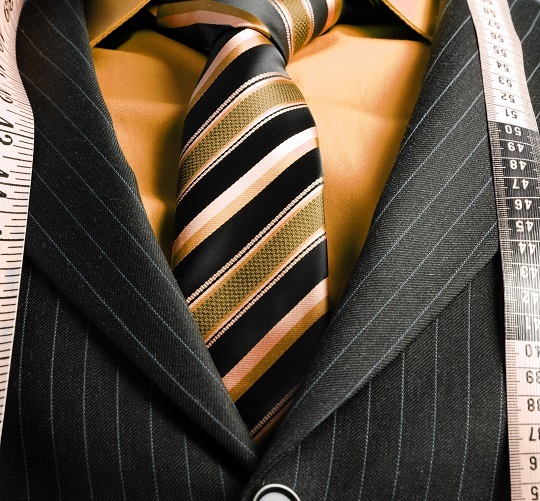 For an exceptional custom-made dress, shirt, or suit, you’ll require the services of an experienced tailor. Fortunately, TalkLocal can connect you directly with great tailors in your area. Contact us now.